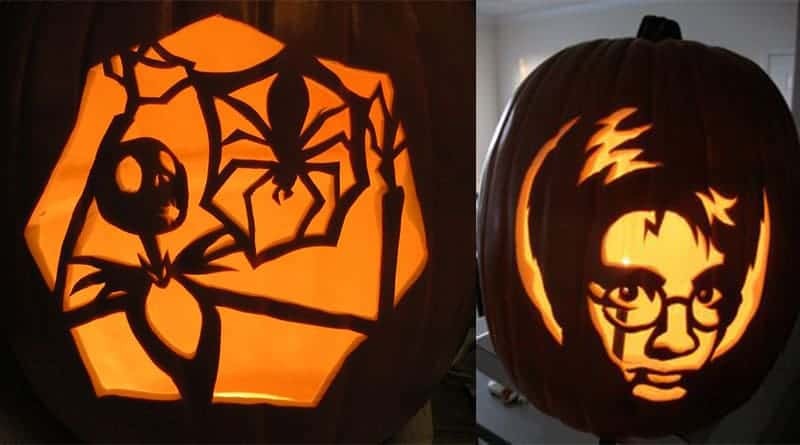 Are You The Pumpkin Carving Champion? With Halloween just around the corner, we are in peak pumpkin carving season so it is time for our 2017 pumpkin carving contest! We want to see what cool creations you’ve come up with so share your photos with us on Facebook and Instagram for the chance to win a pair of movie tickets. But be quick! This contest closes at 9am (PT) Friday October 27th. If your pumpkin is sat on the kitchen table, waiting to be carved, here are some of our Halloween store staff’s favourite ideas to get your creative juices flowing. Do you think Halloween should be a time for laughter? Then these are the designs for you. 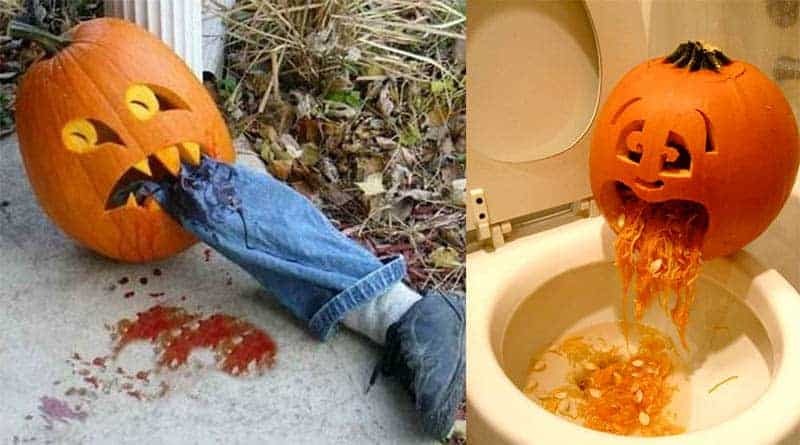 Our Milton Halloween store staff got a surprise when they saw the right pumpkin in their staff toilet. If you do opt for doing this at home, be sure to have another toilet available for your guests, or else things could get VERY messy. You can still create amazing looking pumpkins without having to tediously scoop the inside out. 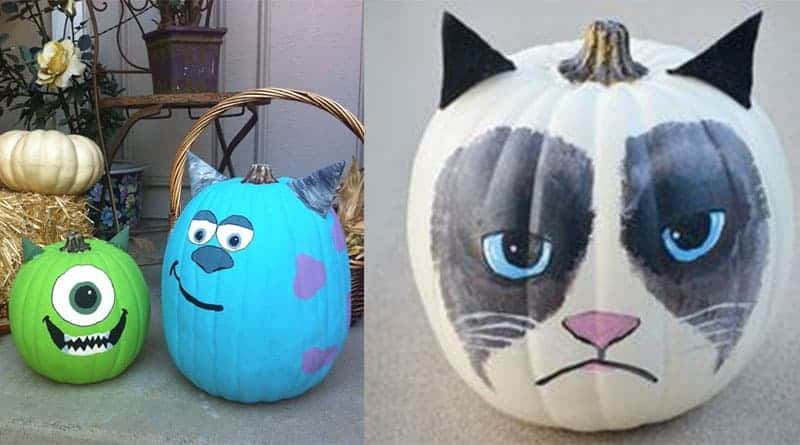 For anyone with an artistic side, why not try painting your favourite movie character onto a pumpkin. This is also a great way to entertain the kids. Give them each a pumpkin and some pens or paint and see what they come up with. If you can create anything close to these, then we tip our (witches) hats to you. How anyone has the skill (or patience) to carve these we do not understand. Which of the two do think is better? Who says Halloween has to be scary? 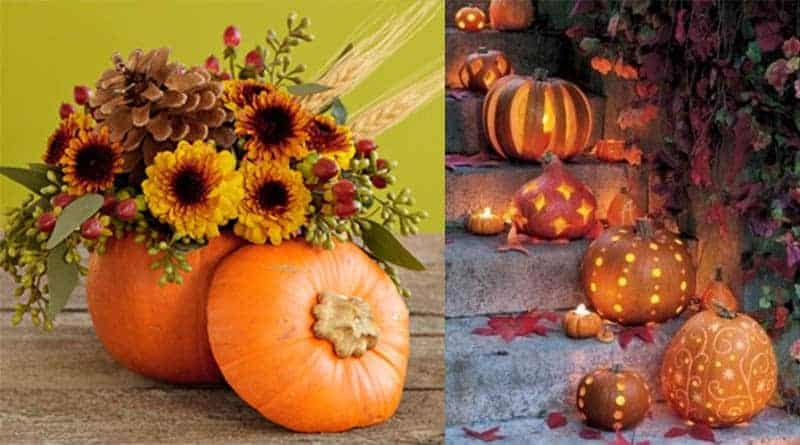 Fall is a beautiful season so why not create fall themed pumpkins. Our Port Coquitlam Halloween store staff love these pretty designs. Plus, a huge perk to these is that you don’t need to worry about getting rid of them come November 1st, they’ll look stylish enough to keep well beyond Halloween. Whether you try one of these designs or something of your own, submit your photos for a chance to win a pair of movie tickets. Best of luck! We can’t wait to see your photos. Contest valid for residents of Canada only. Please see full contest details here. Want To Win Beats Headphones? Tell Us How We Did.